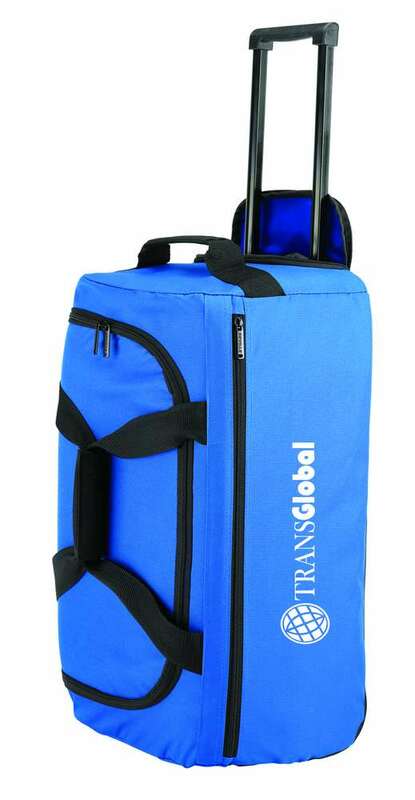 Our front runner carry-on duffel bag has a telescoping handle that extends up to 15" and is a great branded item for employees who work on the road. Telescoping handle that extends up to 15"
Let your brand outshine its competitors in the promotional arena this holiday season with the Front Runner Carry-On Duffel. 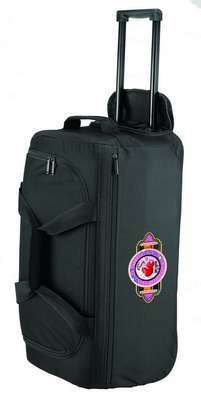 Imprint your company’s logo on this spacious duffel to increase brand outreach. The roomy main compartment features a U-zip opening for quick access to your belongings. The integrated in.jpgine skate wheel system and an extendable 15” handle make it convenient to carry the bag. Gift the carry-on duffel to your esteemed clients and valued employees and gain widespread visibility for your brand.